I do a lot of this kind of thing at work. 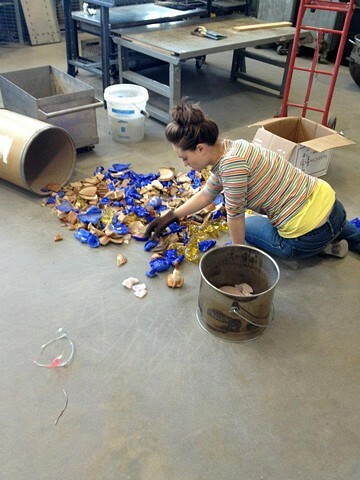 Rummaging through barrels of broken glass picking out the pieces I want to use. The brown glass on the floor will later become my piece Chocolate. The blue has yet to find it's place in one of my pieces. But it may come to me soon!